Is your audience moving away from you? The attacks are not just online anymore. Media reseach sherpa Dave Van Dyke offers a look at the ‘audience gap’ between listener usage pattenrs, where radio is and where it needs to go to remain competitive, if not dominant. Dave was raised in radio, showcasing talents on-air, in programming, sales, marketing and research. 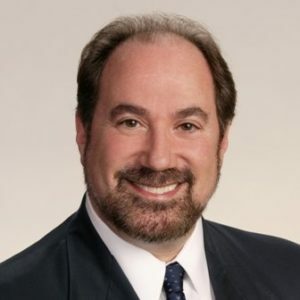 After over two decades with posts including VP /GM at KCBS/Los Angeles along with senior management positions at Westinghouse, Viacom, Infinity and the ABC Radio Networks, he started Bridge Ratings and Research. Now he’s focused on every facet of radio, audio and Internet audience engagement and is widely recognized for his ability to forecast and gauge media Bridge Ratings conducts several studies annually to determine the impact of a variety of media which compete for consumers' time. All of this data is rolled into the annual “Bridge Ratings New Media Gauntlet” which we link to below. 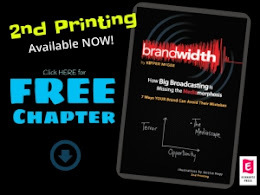 This episode will help you bridge the growing audience gap, for survival of your station brand ─ and your career! A great 'real life' moment gives the audience of previous Brandwidth guests JohnJay and Rich an inside look at the show in action, and generates great multi-platform exposure. Here’s a powerful trade secret. Keep in mind, it only works 100% of the time. Every market has its own unique characteristics. While it may be said that all markets adopt and integrate many of the same national brands (e.g., McDonalds, Walmart, Home Depot, Best Buy), it is also true each market has its homegrown favorites. Having lived in Portland I still thirst for the taste of Burgerville product. Allow me to dare a guess that you have been told more than once “You have a radio voice.” It’s because having worked in audio you have developed a certain discipline in your speech. You have likely reached the point that you no longer notice your practiced pronunciations. You have, in fact, created a professional voice which is different from the voices people normally hear in their conversations. Radio stations are heavy with professional voices. From the on-air talent, to promos and commercials smooth and often remarkably distinct voices fill the air. What is usually not heard are everyday voices of the locals. On the listener side of the radio these voices “pop” or jump out when they hit the air. The listener ear detects or notices these voices, a degree of dissonance is created. Does your station have an accent (or three)? It needs to and should.